If you want to know the SOR Foundation and learn more about the objectives of this foundation, you are welcome. The organizers of this event at (ZIMIHC Theater Zuilen) make available to the SOR Foundation a stand. This event is an occasion to commemorate the 55th anniversary of the death of a great man and a resistant RIF recognized worldwide, and an opportunity also to publicize closely the SOR Foundation which has as its main objective the development of the RIF In the long run. 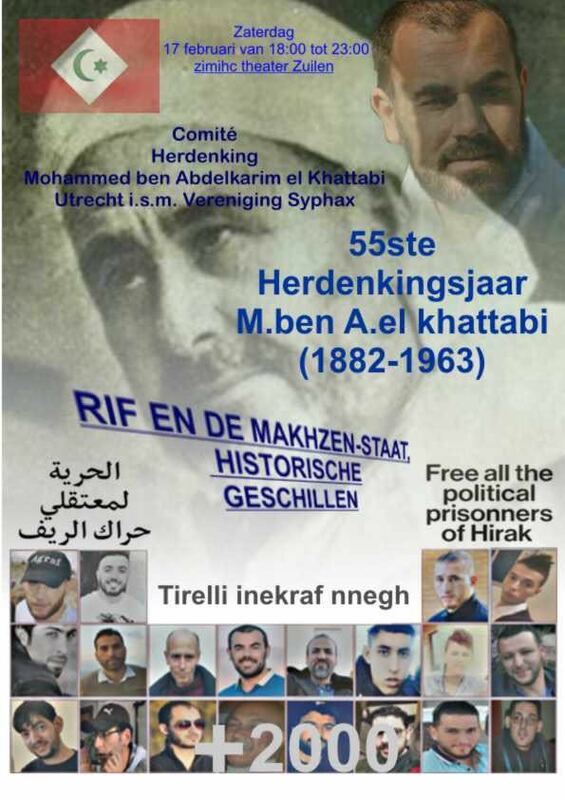 Currently he has an emergency it is to help and support the families of prisoners of the Popular Movement to the Rif (Hirak).